Click here to see an enlargement of the book cover illustration. 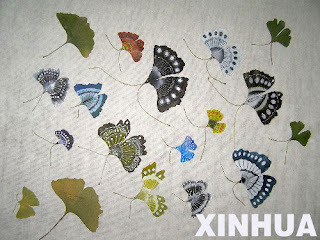 Wonderful paintings of Ginkgo leaves showing the resemblance in shape to butterflies. 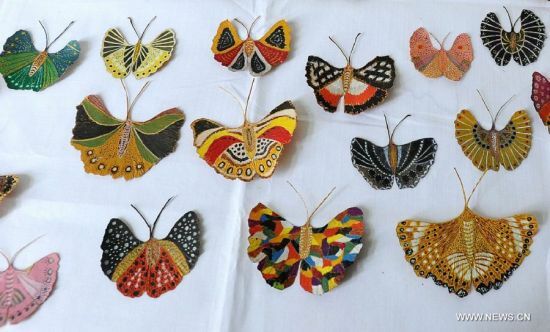 Photo taken on Nov. 10, 2011 shows the handmade butterflies created by 81-year-old Gu Houxin with leaves of Ginkgo trees in Suzhou, east China's Jiangsu Province. Gu has so far made over 700 such butterflies by painting coloured patterns on Ginkgo leaves. * New photo photospecial page: Ginkgo tree of c. 1,400 years old in China, Xiangfu Temple. 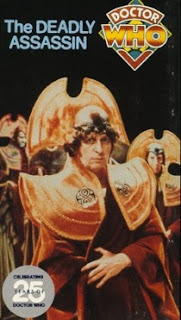 Gallifrey is a fictional planet in the long-running British science fiction television series Doctor Who. Here on the homepage The Best Stuff in the World it is thought: "They have Ginkgo trees on Gallifrey, I swear it." * Added photos of Ginkgo trees sent to me by readers in the Netherlands, Missouri, Alabama, Spain, Czech Republic, Ukraine, Canada and New Zealand. Thank you ! Enjoy photos on Flickr.com by Dena v.d. 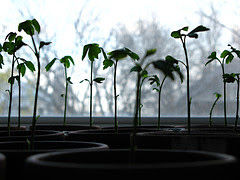 Wal showing Ginkgo seedlings in a slideshow. 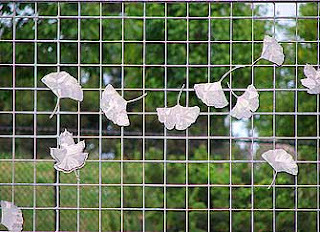 * Added YouTube video about Ginkgo art dance. * Added on my Literature-page: Article about green alga in Ginkgo biloba. Special art in Boston, Massachusetts (United States); photo by Bits-n-Pieces.